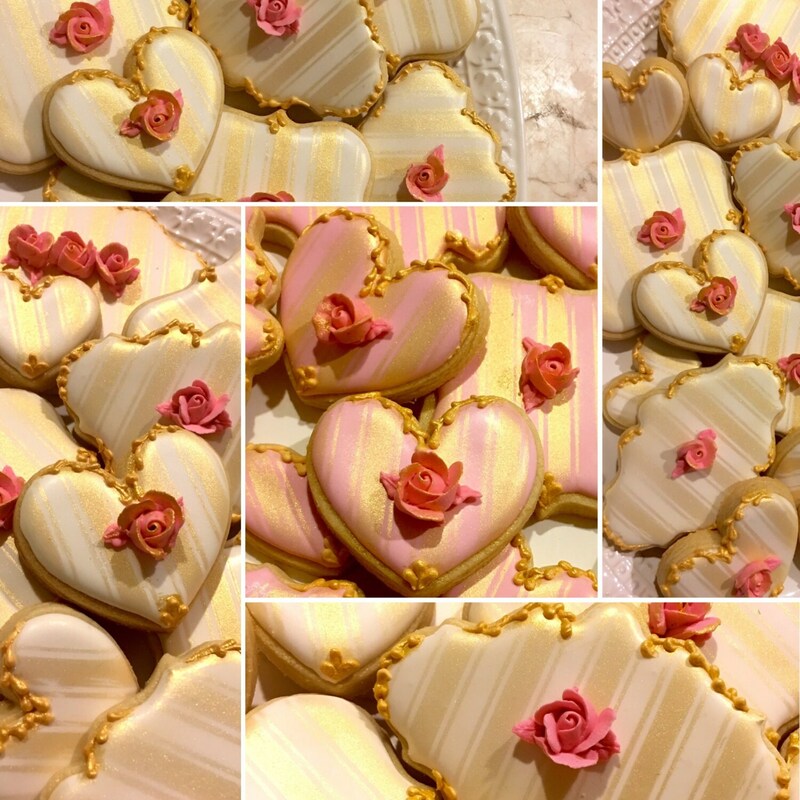 These are Classic Baroque Style Plaque and Heart Cookies. 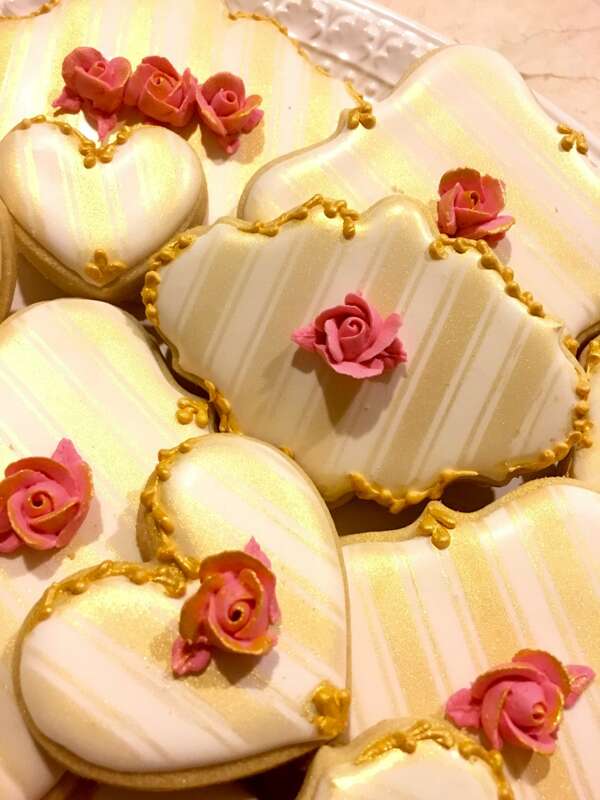 Sure to beautifully compliment a Marie Antoinette themed sweets table. 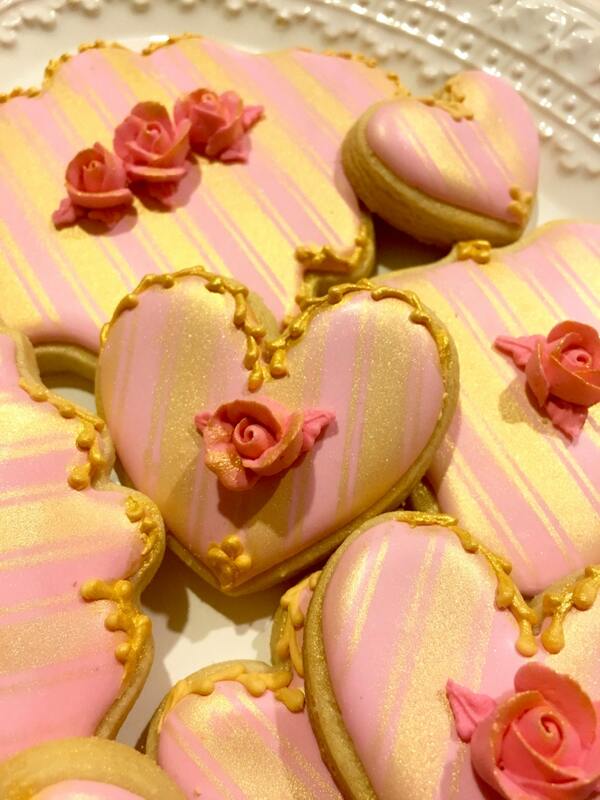 They are iced with royal icing, hand painted in shimmery gold, and adorned with dainty rosebuds. Cookies can be customized with your own colors and design. Monograms can also be done. This is a dozen set. They may be left in the bag to serve as party favors. These will also be perfect arranged in a tray without the bags. Please note that pictures shown are of chocolate cookies. Background or outline will be a light cream color for vanilla, coconut almond, and lemon cookies. Mocha flavored cookies will be slightly similar to the ones pictured here, but with light brown outline color. I highly recommend these!!! 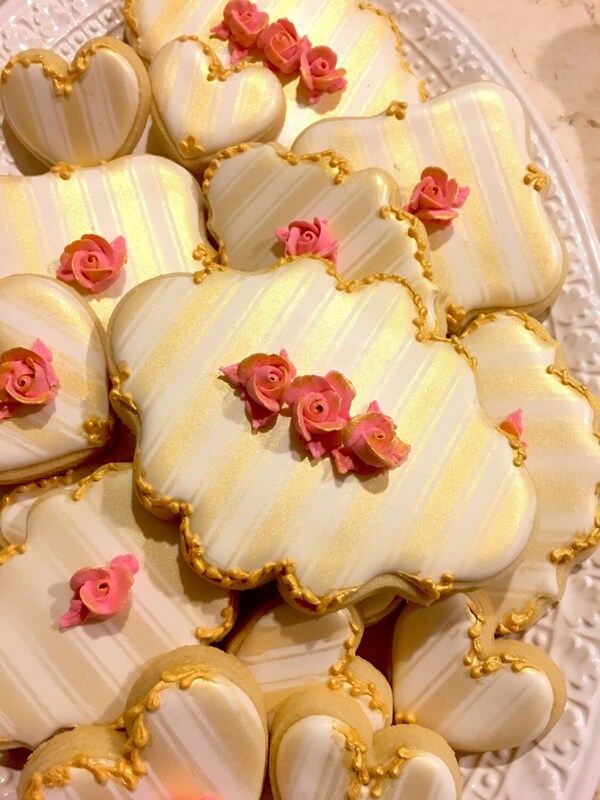 They are stunning and the most beautiful cookies I've ever seen. My guest loved them. Worth every penny. I will be ordering more for my future events!!!! These cookies were exquisite! Arrived early, packaged beautifully. Everyone at the tea could not believe the detail on each cookie! Thank you so much! WOW! These were beyond amazing! 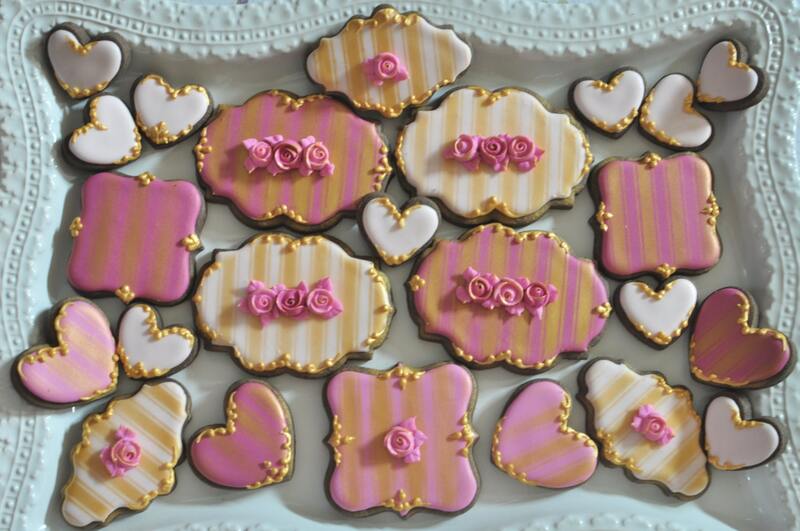 First, the beauty of these cookies is unsurpassed! These were hands down the most beautiful cookies I've ever seen. Second, they tasted so good! The soft vanilla flavor was perfect and they tasted so fresh and natural. Third, these cookies were wrapped in a clear cellophane bag that folded down and sealed behind the cookie. I didn't feel the need to unwrap them for the dessert table because they looked clean and perfect in the bag. And lastly, these were packaged so securely and beautifully. I felt like I was unwrapping pieces of jewelry as I took the cookies out of the box. Thank you so much for your unsurpassed talent and care that you put into these cookies.